Bethesda Chevy Chase Advanced Dentistry (Chevy Chase) - Book Appointment Online! We are committed to providing the highest quality clinical care and personalized service in a warm and compassionate atmosphere. We take the time to get to know you and your family. We are dedicated to maintaining long term oral health and well-being of our patients. We are honest and compassionate about our work and enjoy utilizing art and science in health care. Our dentist and staff are deeply committed to helping each and every one of our patients achieve optimal oral health and a beautiful smile that will last a lifetime. 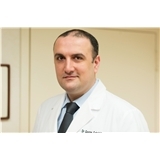 I would 100% recommend Dr George Gotsiridze to someone who lives in DC/MD area. Very competent staff, they were friendly and very professional!! !